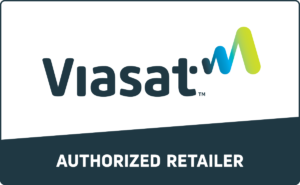 Viasat is the leader in satellite internet with speeds up to 30mbps and highspeed priority data up to 100gb! Starting at $50 per month with a 2 year price lock! HughesNet Gen5 is faster than ever, with download speeds of 25 Mbps** on every plan. Four new service plans to best suit your specific needs and they each come with free off-peak data! Featuring the latest Wi-Fi standards and technology to easily connect your wireless devices throughout your home. Play Four Channels on a Single Screen. Verizon has two types of prepaid cell phone plans: smartphone plans with data, plus unlimited talk and text, and basic phone plans that don’t include data. These plans require no credit check, and no contract. Experience what our large network and great coverage have to offer you, your business, or family! Born and raised in Southwest Virginia, we are all too familiar about the rural country life. The need for reliable television and internet service is a must. Our commitment at Rural Satellite Services is to provide you the customer outstanding service before, during and after the sale. We have countless knowledge about the satellite industry having grown up around it and choosing it as a profession ourselves. Our professional background includes working with Dish Network, DIRECTV, HughesNet and Exede. We take pride in our workmanship. We firmly believe in taking care of our customers’ homes as we would want our own homes taken care of. In conclusion, we are hometown people helping hometown people bringing technology to their fingertips. Give us a call at (276)865-7100 for more information or like us on Facebook. Visit Us at our Store Front in Haysi, VA.